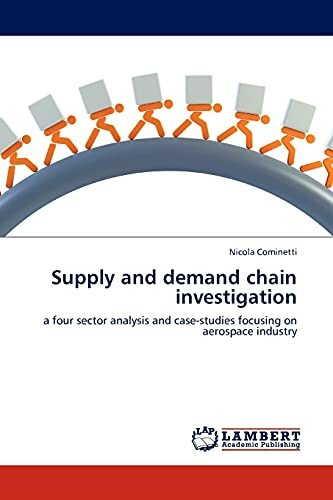 Many studies report that Supply Chain excellence is still rare, in some cases, costs have risen to unprecedented levels because of adversarial relations between Supply Chain partners.The Thesis will investigate the Supply and Demand Chain in order to find out the main issues and the relative improvements. I believe that it has been with the popular concepts of “lean thinking” and “lean manufacturing” that the companies have started to pay major attention to the wastes and to their elimination; and nothing can be a bigger source of waste more than the Supply Chain.For this reasons, it has been carried out this Thesis which tackles topics of great actuality and provides all the instruments to resolve the relative issues....dedicated to my future wife Elisa. Management Engineer, University of Bologna (Italy); Employed in Logistic Department, Bartolini S.p.A. Express Courier.I am the founder of online magazine (http://ring.5core.it), dedicated to publish articles written by young engineers.I swim in a competitive team and I like mountaineering and trekking.